I made this quilt for my mother; my sisters and I were all born in the winter months. So the red cardinal (her favorite bird) and the snowflakes create the perfect winter theme for this 45×54″ photo memory quilt. Personalized with the names and date of birth under each of our baby pictures, and a block with the words, ” Winter Blessings” embroidered in the middle. 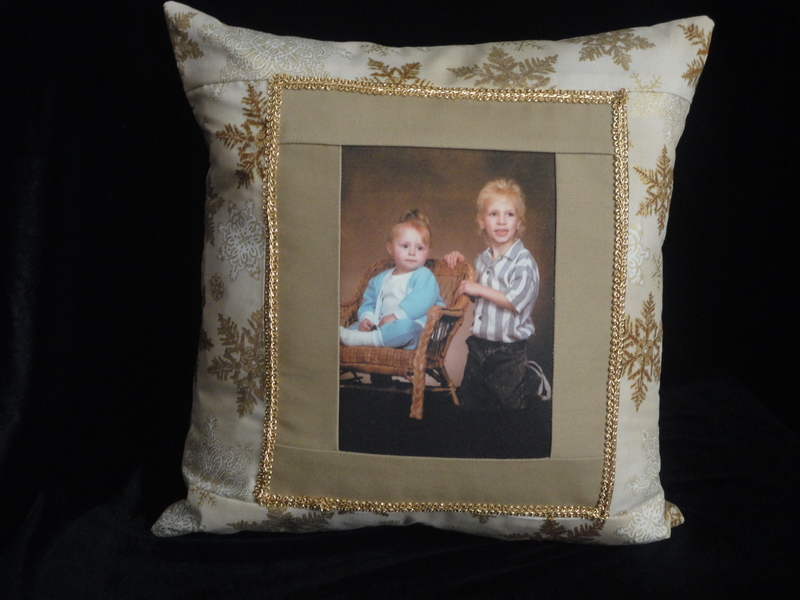 To order, please click on the link provided: Connie’s Keepsake Cafe/Beloved Memories by Connie.